He was born in Malta, MT on February 20, 1918 in his grandmother�s house to Leah Esther (Caselberg) and Ellis Blumenthal. His active childhood included trying to run away from home with his wagon and playing golf on horseback out in a field of weeds. At 15, the family moved to Helena, where his dad owned the New Way grocery store. Philip was a bag boy there and always helped the little old ladies with their sacks of food. He was a star football player, whose nickname �Curly� was earned after his coach asked, �Who�s that curly-headed kid?� He always remembered attending the opening of Glacier National Park�s �Going-to-the-Sun� highway when it was christened by FDR. After graduation from Helena High School in 1935, he headed to Minneapolis to attend the University of Minnesota. He continued on to medical school, graduating in 1943. During med school, he took a job as a waiter in the nurses� dining room so he could pick from "the cream of the crop." Once he spotted her, it was all over for both of them. She was a vivacious and popular nursing student by the name of Eileen Marie Hoffman. He pursued her relentlessly, stealing her heart and altering her life plans in the process. They loved to meet on the bridge over the Mississippi River between their dorms. They would take the streetcar downtown for a few dances before her midnight curfew. Both loved to dance, and it remained one of their favorite things to do for years thereafter. 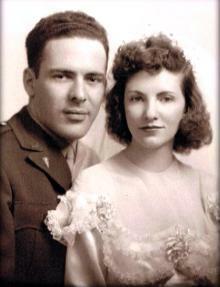 They were married on April 15, 1944 and started their life together in St. Paul. But when WWII intervened, Dr. Blumenthal became Captain Blumenthal in the US Army. Army life started in Spring Valley, NY. When he left for Guam, his pregnant wife moved back to Minnesota to stay with her parents. Baby Mary Kay was 15 months old before Philip had leave from the military to see her for the first time. He returned permanently to the US upon the death of his father in 1947. His residency took them to Hackensack, NJ. The young doctor set up his first general practice in Mandan, North Dakota�midway between his mother in Helena, and his wife�s family in Minnesota. The family grew, and over the next 12 years, another 3 children there; Christopher, Casey, and Martha. Dr. B was a busy guy�working long hours, making house calls, delivering babies in his Halloween superman outfit, and trying to find time to spend with his family. It was during this time that Phil converted to Catholicism, making all the nuns happy at St. Alexius Hospital in Bismarck. In North Dakota he bought his first boat, which he named Baby Dear B after the love of his life. Boating and waterskiing on the Missouri River, the lakes in Minnesota, and later, the waterways of California brought him and the family many years of pleasure, laughs, memories, and sunburn. Although he loved his small-town practice, Phil and Eileen decided to seek warmer climes and a community where part of his workload could be shared to give him a life outside his office. They settled on Saratoga, California and set off on their new adventure in 1960. They quickly became involved in this community as well, joining Sacred Heart Church, advocating for social justice, and fostering the growth and development of their children. 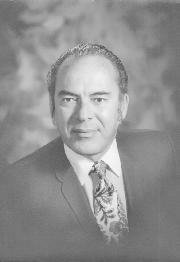 Dr. Blumenthal had hospital privileges at O�Connor and Los Gatos Community Hospitals, and in 1971, he was Chief of Staff at Los Gatos. Popular with the staff, his younger kids would traipse alongside him as he went in to make weekend rounds. He even continued his practice of making house calls until he could no longer maintain the time commitment. Phil and Eileen were responsible for the establishment of a foundation for the Hospice of the Valley. He became their first medical director, and both devoted many hours of their time to improving care of the dying. He doctored everyone and many of them for free, from Fremont High School football players, to migrant farm workers, to the nuns in the Sacred Heart Nunnery. Phil�s spare time was spent with his family�at least when he wasn�t on the tennis court or golf course. 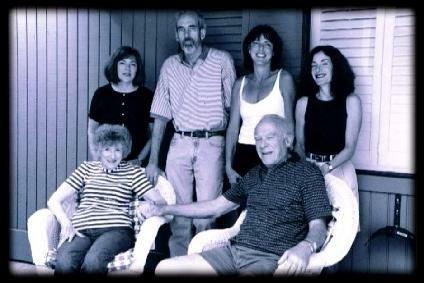 Phil and Eileen loved to entertain�and if anything involved dancing, they were there. They also enjoyed some travel abroad. In 1989, at the age of 71, Dr. Blumenthal finally, although somewhat reluctantly, retired from his medical practice. He continued to fill in as a locum tenens physician for two more years, until illness prevented him from further work. 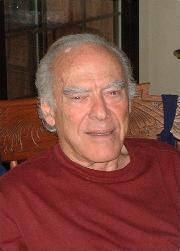 Dr. Blumenthal passed away on November 10, 2008 and services were held in Saratoga, California. His was a life well-lived, and he was deeply loved by his family. When asked what he wanted people to say about him after he was gone, he once answered, �He was a good guy.� So very understated, but so very true. The Society would like to thank Casey Blumenthal for sharing this information on his father with us.